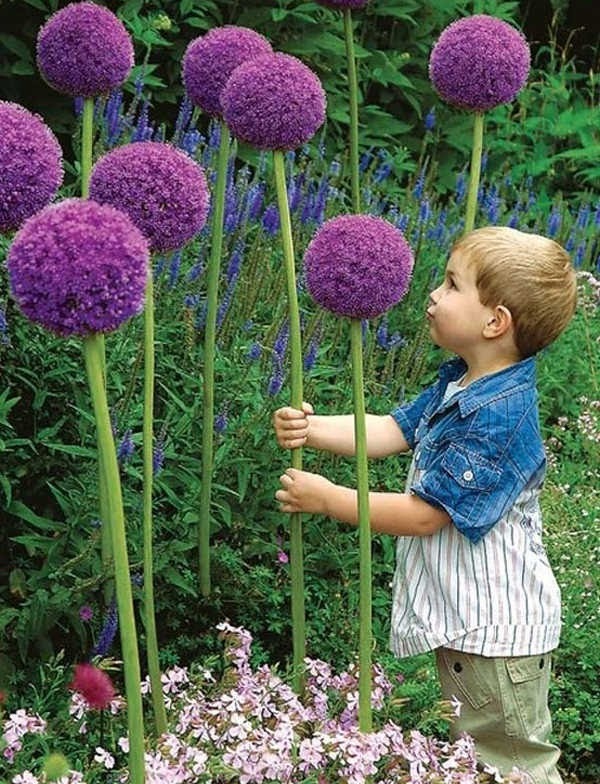 With the temps FINALLY cooling down, it's time to get outside! 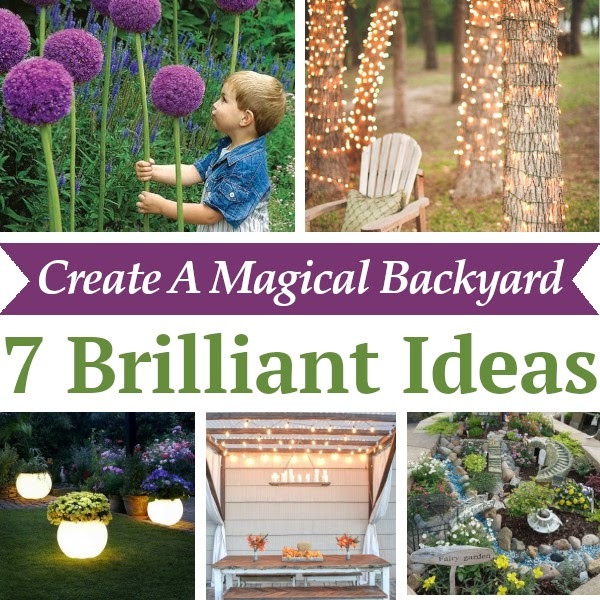 Today I'm sharing 7 ways to transform your backyard into a magical place that you'll never want to leave! 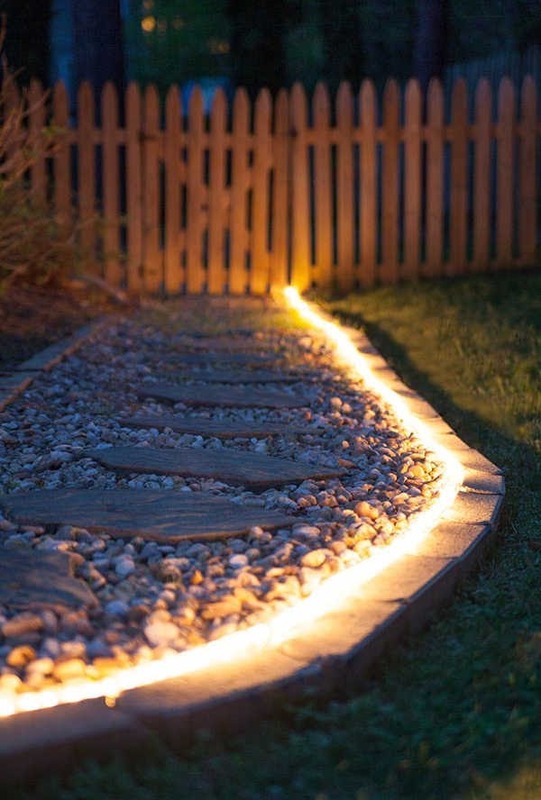 Add illuminating planters to light up your patio or use them to line a pathway. 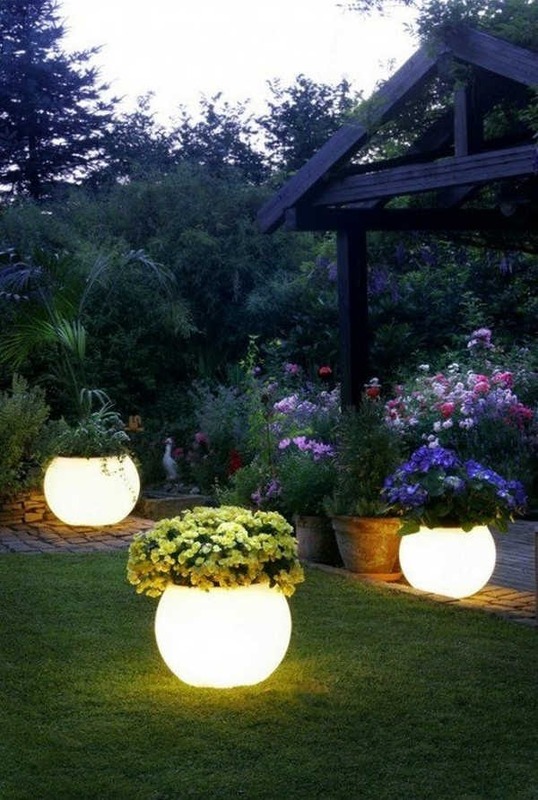 I could not find the original souce to this photo but you can achieve the same look by painting a large planter with glow in the dark spray paint (purchase some here) or you can purchase illuminating planters (find some here). 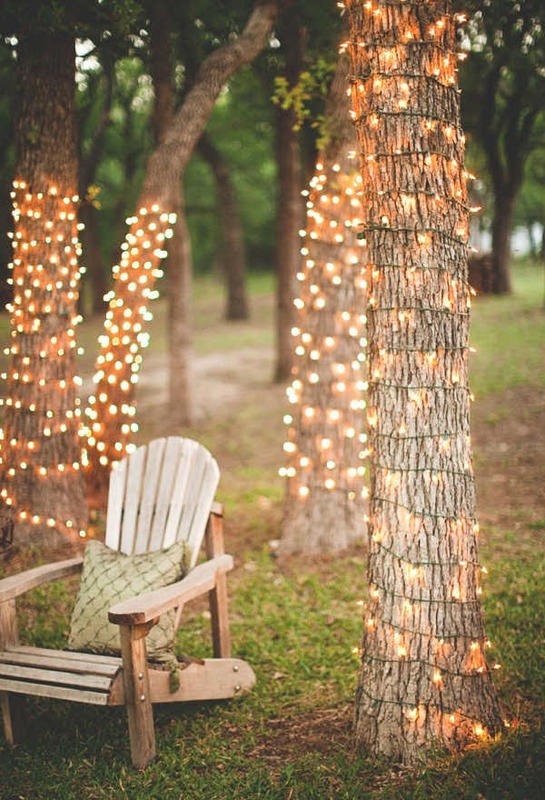 Wrap you trees in Christmas lights. Tip* Wait until a day or two after Christmas, when all the holiday items go on sale. You can find them at 50% off or more!! 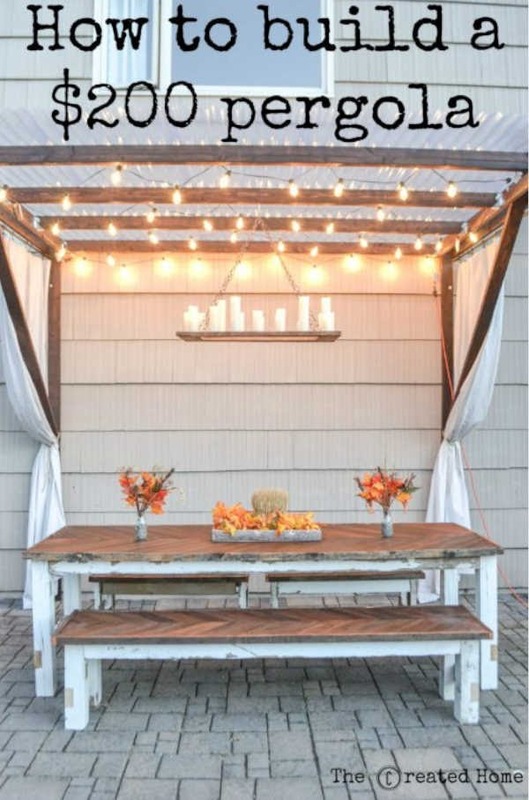 Build your own beautiful pergola. This tutorial from The Created Home shows you how!! I love the lights, curtains, and that beautiful chandelier that they added to it. 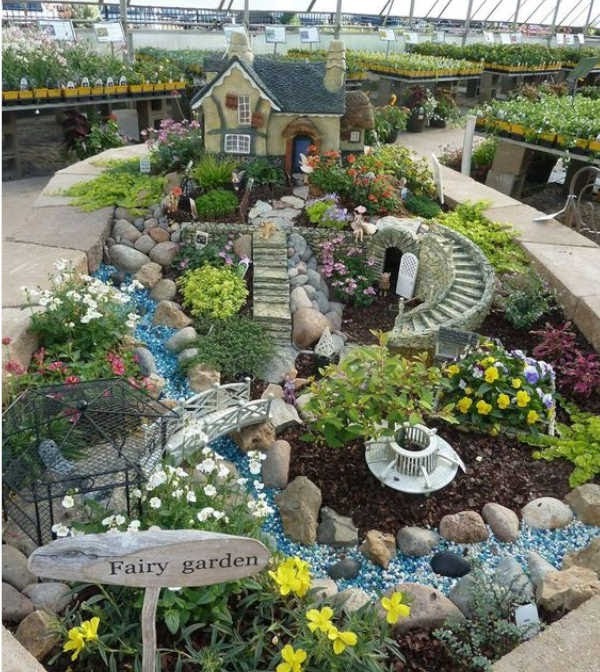 Create your own magical fairy garden! 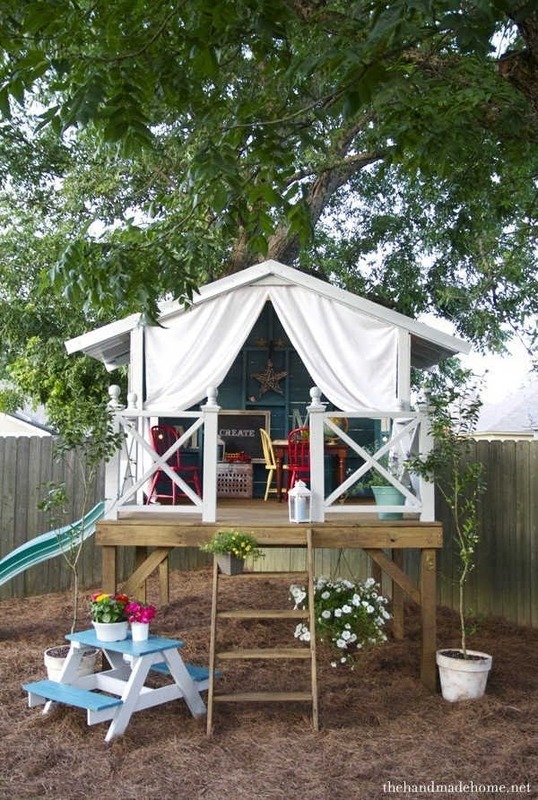 I love this idea and plan on creating one very soon with my girls. This one from Pahl's Market is beautiful but you can make your own as large or as small as you want.